The Leica M7 Titanium 3 lens kit tries to strike a balance between a luxurious collection and a real tool for serious photographer. Packaged in extremely stylish way with nice looking accessories made in great craftsmanship, the Titanium camera and lenses also prove it the perfect photo shooting combo with toughness and attractive appearance rolled into one. 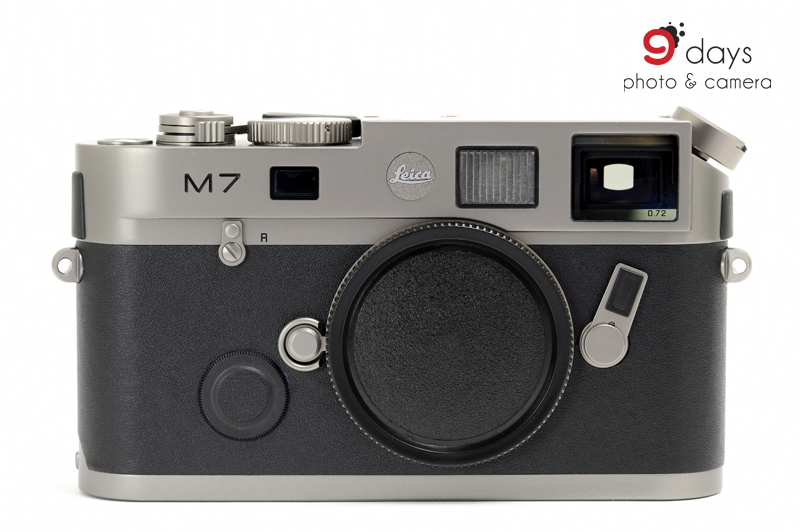 This special edition was launched in 2004 to commemorate the 50th anniversary of Leica M system. 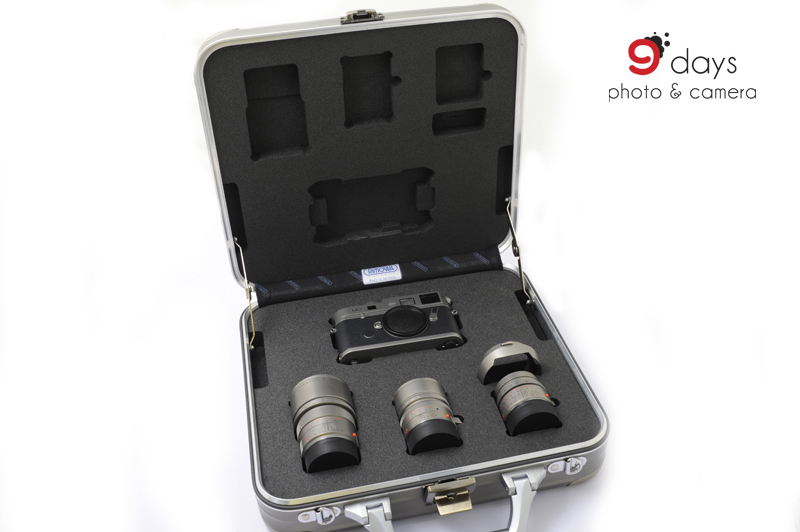 The 3 lens kit we had in our hands was produced only in 50 pieces. For these limited pieces the serial numbers were started from 3,000,000 to 3,000,050. 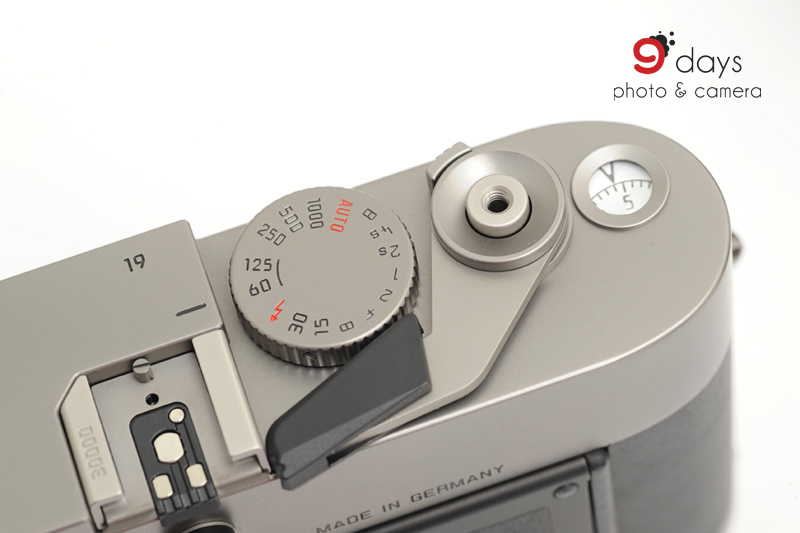 The final two digits such as “00” symbolized the first Leica M year which was 1954. The order of M year was also engraved on top plate next to the hot shoe. 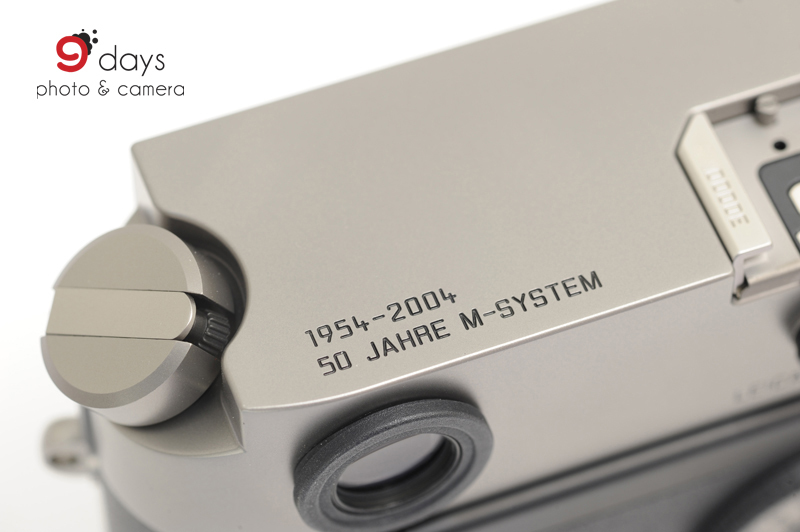 On far left the engraved two-line script read “”1954-2004” and “50 JAHRE LEICA-M SYSTEM”. Titanium is a much favoured material for building camera. Unlike others, M7 Titanium used titanium extensively – not only the top and bottom plates were used but also operation elements supposed to be made by metal! It is believed there were more than 30 of them inside the body. Extra effort must be paid to process titanium - it takes five times more time than brass or aluminum to mill a piece of titanium. Titanium shows it worth because it is very strong, highly corrosive resistant but relatively lightweight. It is two times more stable than aluminum but 45% lighter. For this special M7 body, the use of titanium makes it 13% (around 80 gram) lighter than standard M7. The leather used on the body was black saddle leather. 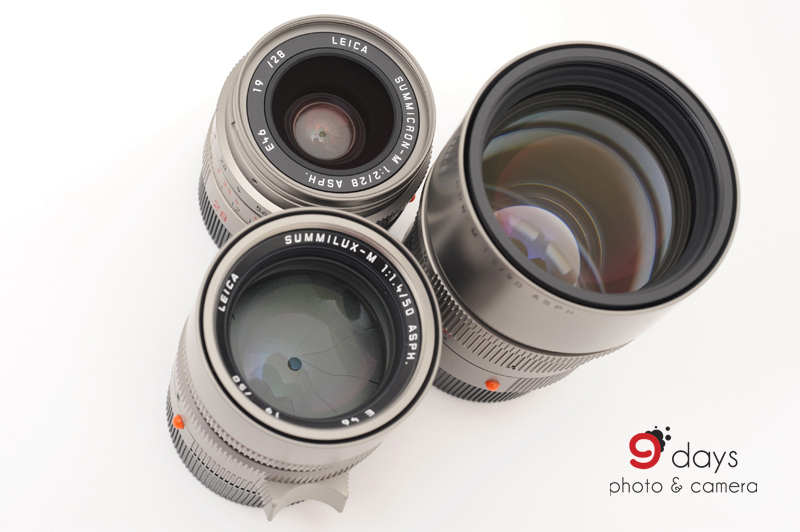 The 3 lens kit included the Summicron 28mm F/2 ASPH, Summilux 50mm F/1.4 ASPH and Apo-Summicron 90mm F/2 ASPH- all outer parts used titanium. A special technique was employed to deposit a thin layer of silicon dioxide on the lens body which even kept unwanted prints from fingertips away. For 28mm and 50mm lens, the serial numbers were shown near the front lens whereas 90mm had it on the lens barrel. The “19XX / 28”, “19XX / 50” and “19XX /90” indicates they are the respective lens paired to a certain Leica M year. The 28mm lens has an external hood in titanium, so as the three lens caps on this kit. 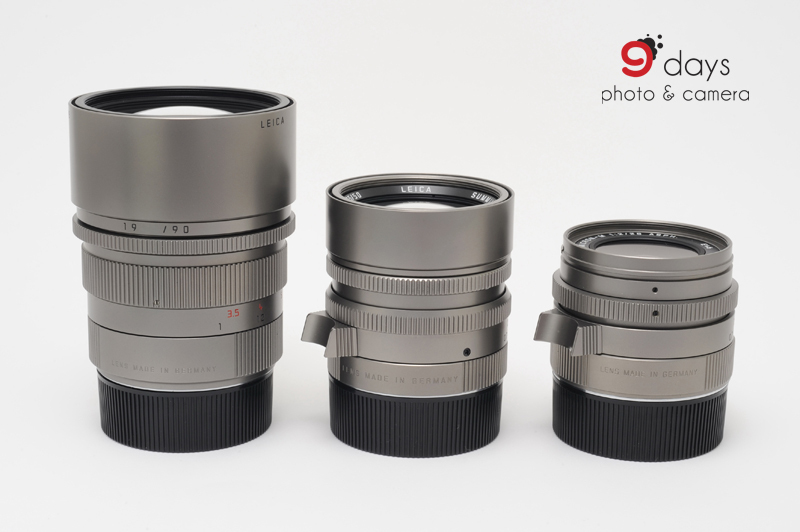 Despite all the attractive features and accessories, Leica wants the M7 Titanium 3 lens kit a tool for serious photographer. A custom-made case commissioned to Rimowa, a Germany-based leading manufacturer of luggage, was built specially for this kit sets. The case, made in aluminum but painted with titanium color, allows the titanium body and lenses to lie comfortably inside. 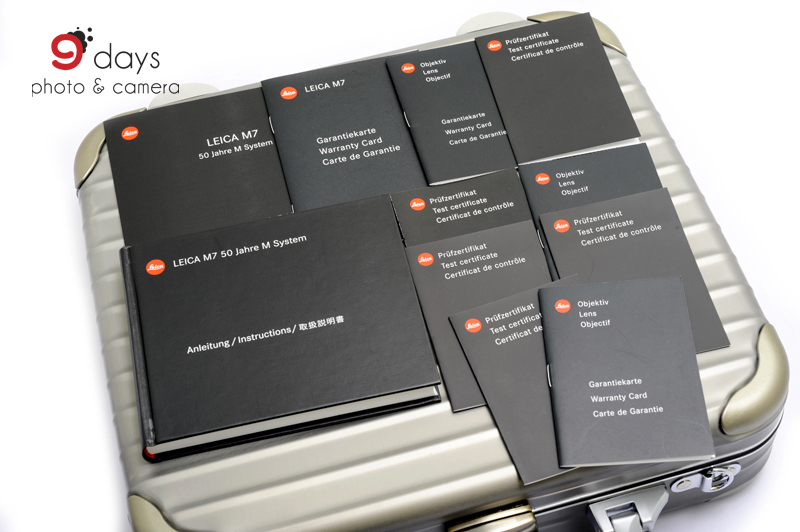 Inside the silver box package there are instruction manual, warranty cards and certificates undersigned by Leica AG board member Hanns-Peter Cohn and Ralf Coenen.